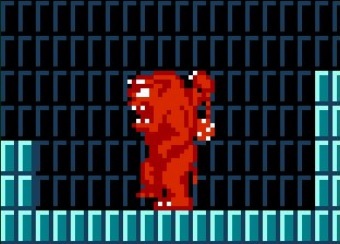 “For round 3 I decided to pick a more obscure Zelda enemy: The Doomraddle from The Adventure of Link. I was originally going to do the Garo Robe from Majora’s Mask, but decided it was too similar looking to the Poes, and went with the Doomraddle instead. And if you don’t know what the original design looks like, look at that guy, in all his 80’s game design glory. I was thinking “Oh it shouldn’t be too hard to make this guy cool right?” I was so wrong. So very wrong. OTL I’ve been trying to do an image of this monster since the round began a couple months ago and it has just been eluding me for so long now. I didn’t want to do a cute version of Doomraddle, but it just kept coming out cutesy and fluffy. But today I finally buckled down and did something so that I wouldn’t miss the deadline. XD It took me forever to get a design for this monster that I was happy with, but I’m actually alright with how this turned out. Doomraddle, Guma, or a different name? Back in June when Link’s Blacklist Round III was organized and Anna Earley wanted to draw the Doomraddle Monster from Zelda II. 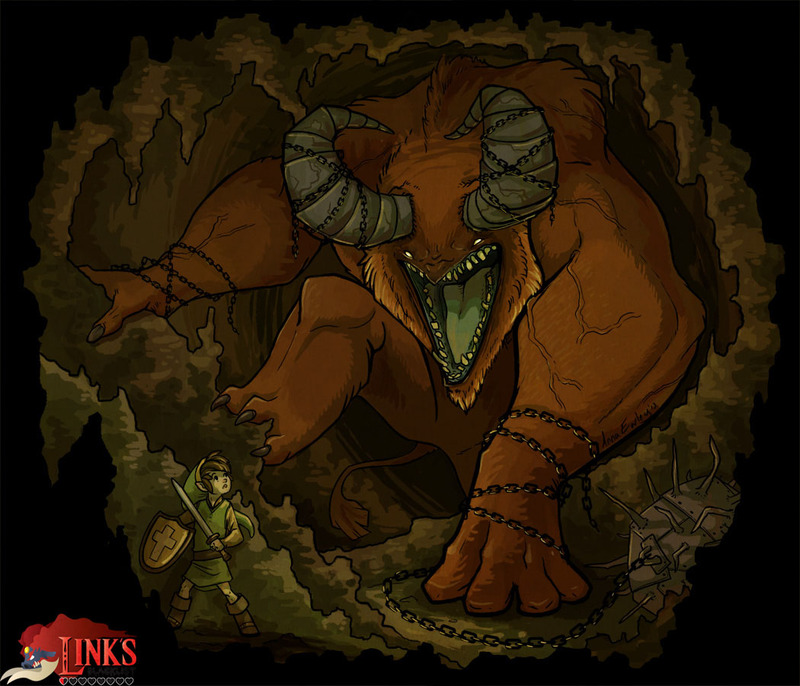 When we started creating these galleries as part of Link’s Blacklist, we had a problem to find more information about Doomraddle though, except one forum post where its name was discussed and the Japanese name Guma was mentioned. 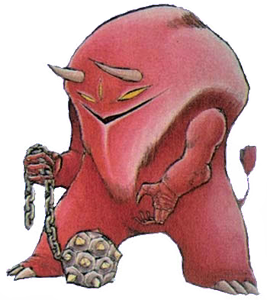 Guma is a somewhat bull-like enemy from Zelda II and constantly hurl chain hammers but Link can dodge their attacks pretty easy.